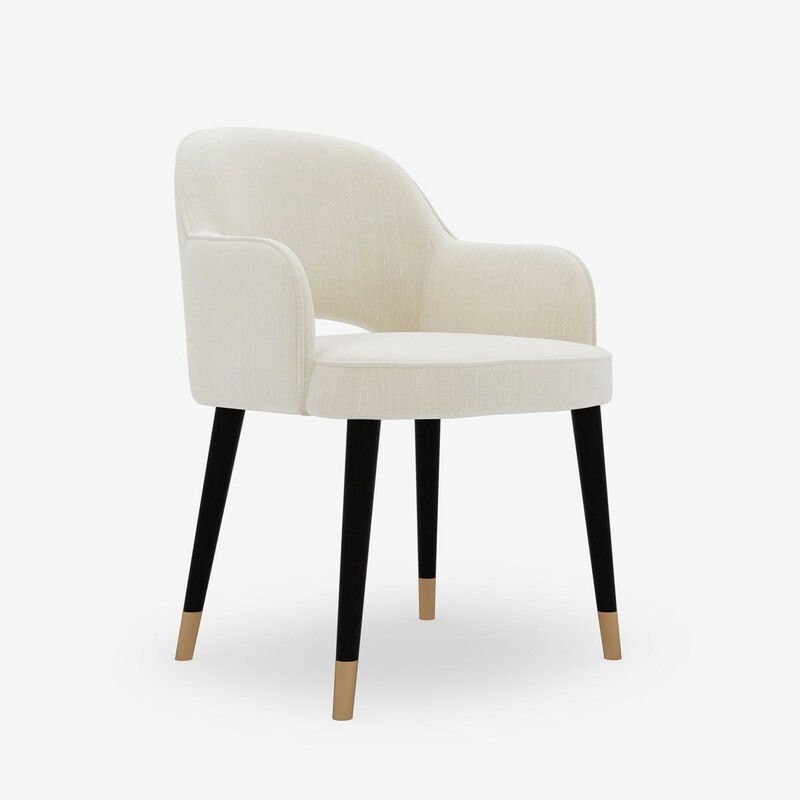 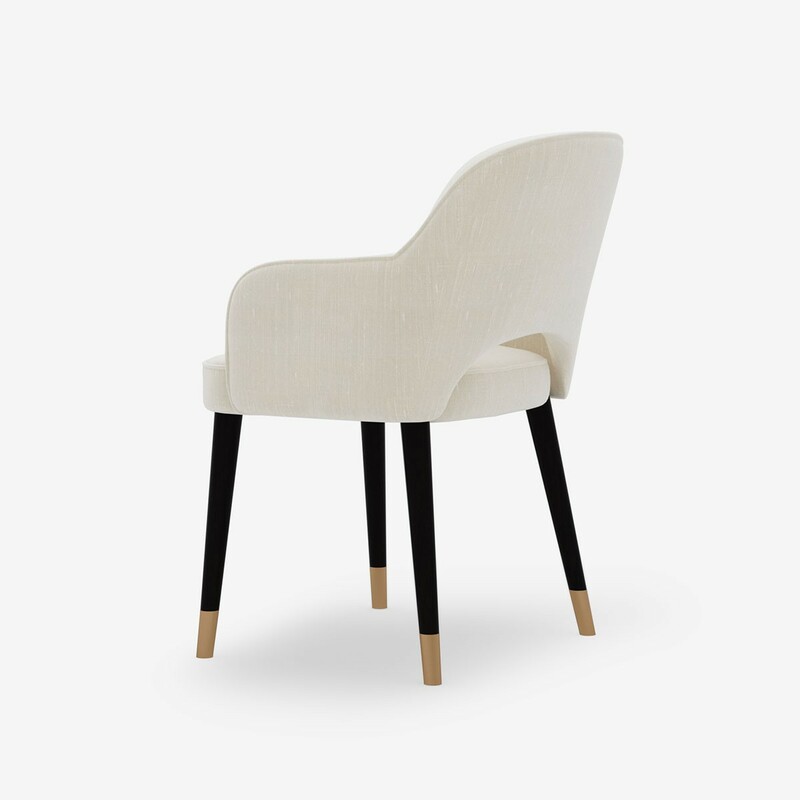 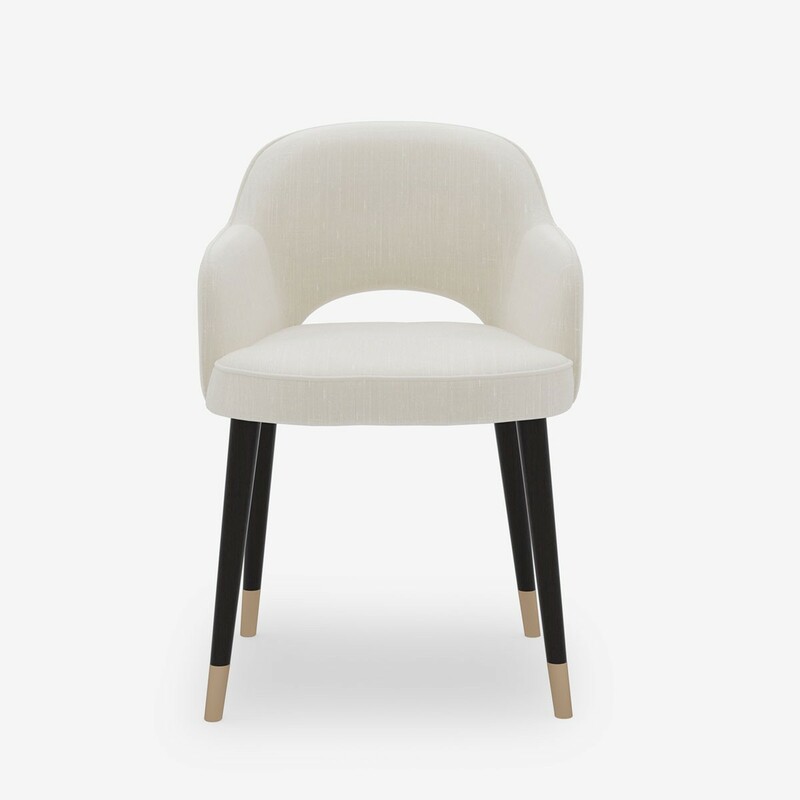 This petite chair is the perfect fit for your desk or dining table. 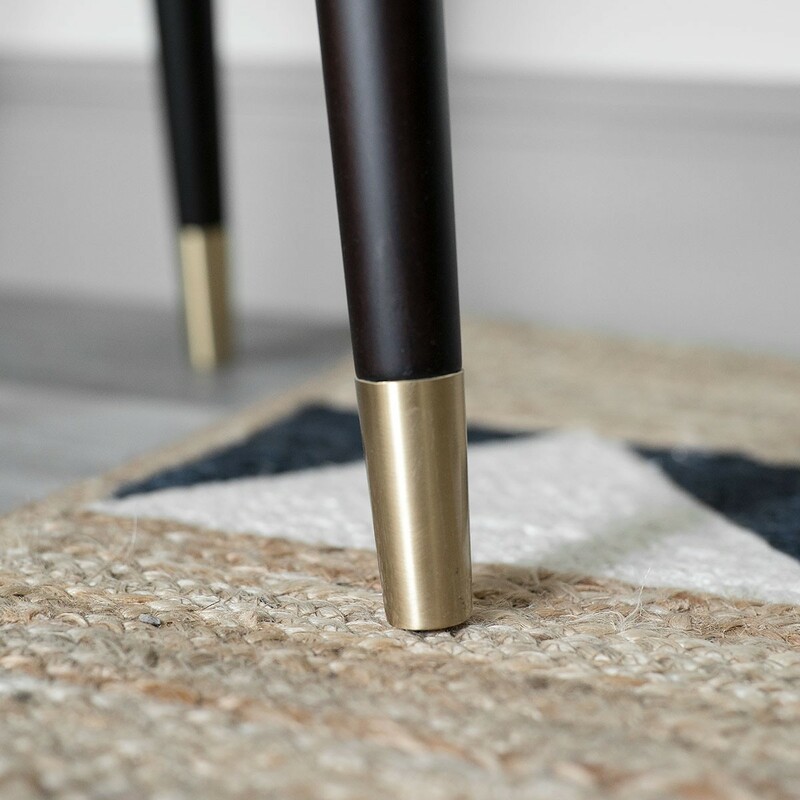 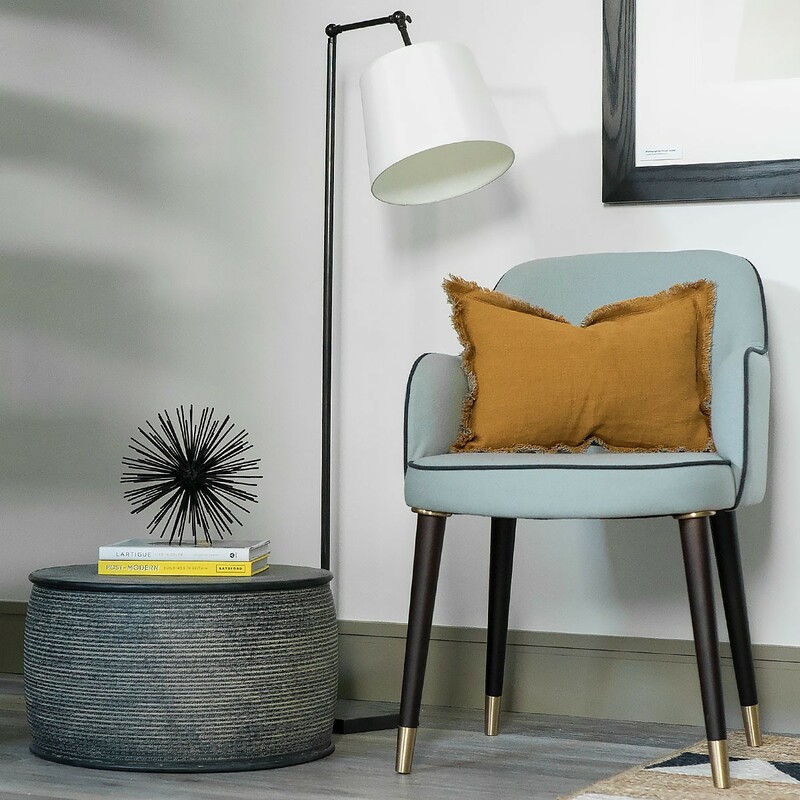 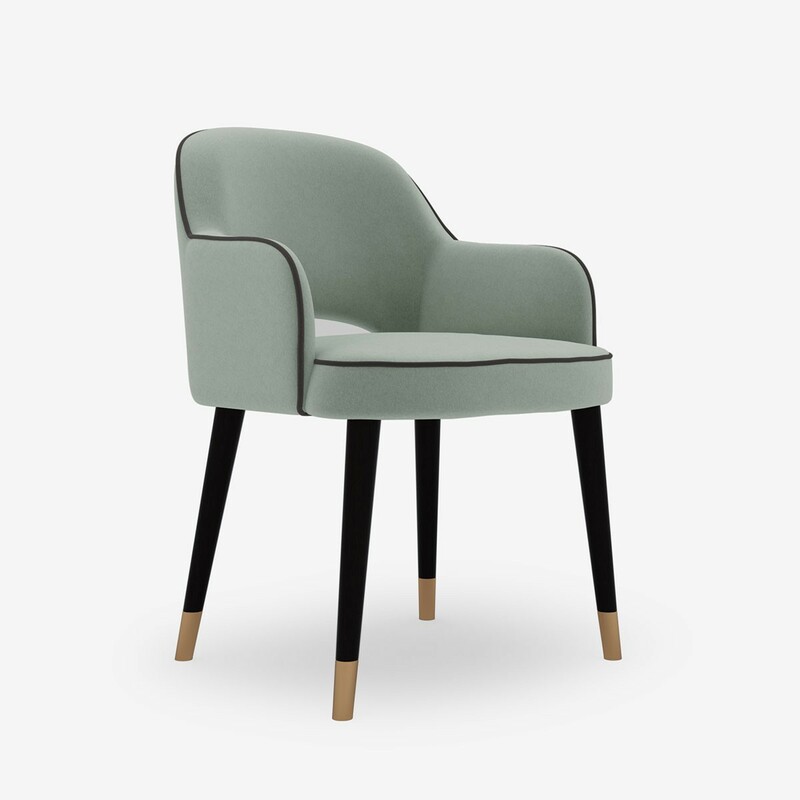 Curved lines with a cut out back create softness and tapered matt black timber legs capped in bronze complete the look. 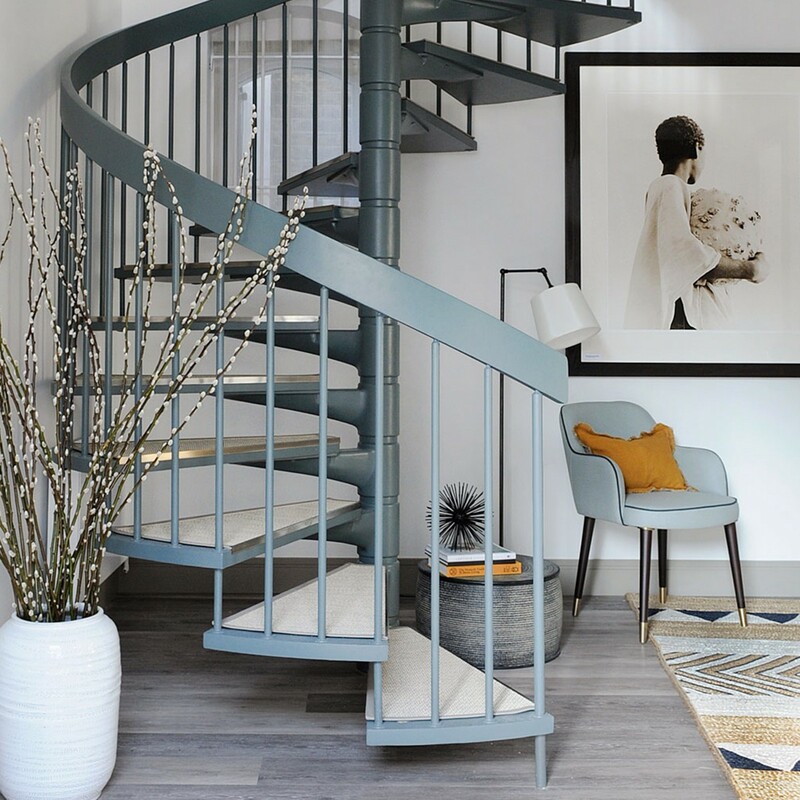 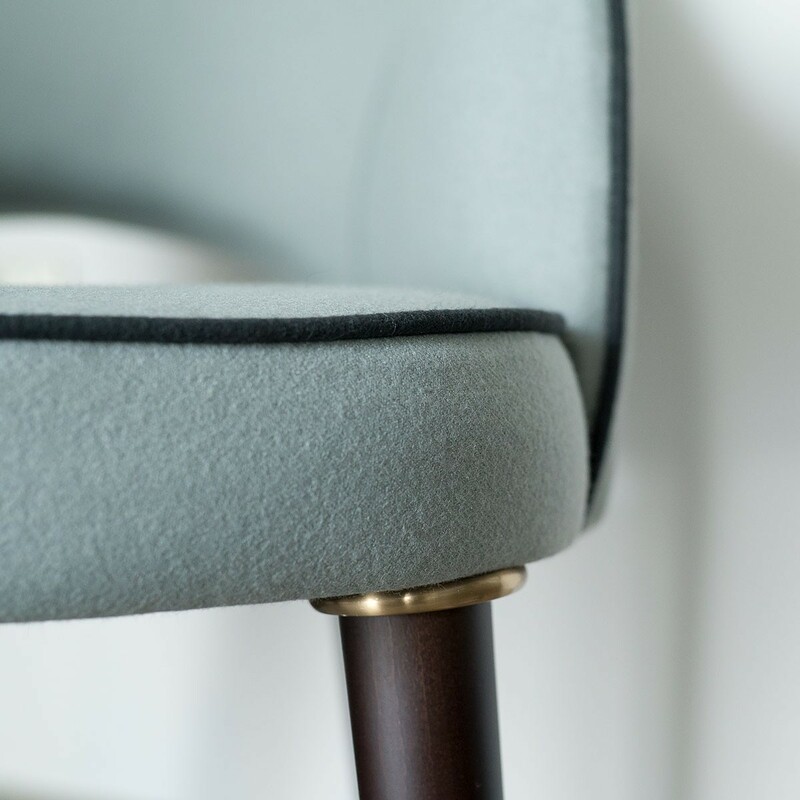 Available in three on-trend colours with contrasting piping - add a touch of contemporary elegance to your home.